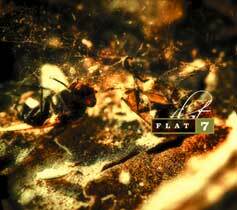 Recently, I was asked by Mitsuo Tate (Cocteau Twins guitarist) to sing on his FLat7 album, "Sweet Glow of Silence", which was released on Sony Music Japan December 5th, 2012. I contributed vocals to four of the tracks on this album, three of which I also wrote the lyrics for. Physical copies of the ...for a better place. CD are now available in the States at toneVENDOR. My new EP ...for a better place. produced by Robin Guthrie featuring a remix by Manual (aka Jonas Munk) is officially out! Click music to listen to the tracks, purchase CD from toneVENDOR in the States, or click store to purchase from my UK store.